Many of us are about to head back to school and all of us know that mixed feeling of excitement and apprehension. Whether you lean more towards one emotion or the other, St. John Bosco has some wisdom that will help make this year more grace-filled…even for those of us who won’t be entering the classroom! 1. Keep it reasonable. The first pillar in Bosco’s approach to education is reason. If students know the “why” behind what they are being asked to do and learn, they are much more likely to engage in the learning process. But the same is true for all of us! We need to really be aware of why we are doing what we are doing. Does it make sense in light of God’s plan for our lives? Automatic pilot is a dangerous way to navigate daily life. We need to be attentive to the present moment and look for God’s reasons throughout the day. Along the same lines, simplicity is much more reasonable than complexity. So as schedules begin to fill up, we want to make sure we are not trying to do the impossible. 2. Keep God central. Pillar number two is religion and is the heart of Don Bosco’s teaching. It boils down to a balanced piety that is neither rigid nor spineless. We have to anchor ourselves with prayer and the sacraments, especially monthly confession and weekly Mass and Holy Communion, if not more frequent. So make sure your back-to-school supply list includes an examination of conscience and a schedule of Masses! Of course, we can’t mention Bosco without a reference to Mary under the title “Help of Christians.” All of us feel like we could use a little (or a lot) of help. She is right there with us, ready to be of service in leading us through our day closer to her Son, Jesus Christ. Let’s be faithful in seeking her assistance! 3. Kindness will keep you. Bosco places kindness as the third pillar, and how wise he is! St. Paul reminds us that without love, everything else we do is worthless. Good grades without love mean nothing. Efficient schedules without charity are a waste of time. Resolutions well kept while kindness is neglected are pointless. And it is not complicated! What is the simplest act of kindness? A smile! St. Dominic Savio said of St. John Bosco’s schools, “Here we make holiness consist in being always cheerful.” As Christians, our smile is not just a facial expression; it is a ray of light reflecting the love of Christ! And when we share light, our own lives become more radiant. It is a definite win-win! We are sure to learn a lot of facts and skills this year. We’ll do our reading, writing, and ‘rithmetic along with all the other subjects life throws our way. But let’s do all this with the wisdom of St. John Bosco including reason, religion, and kindness. 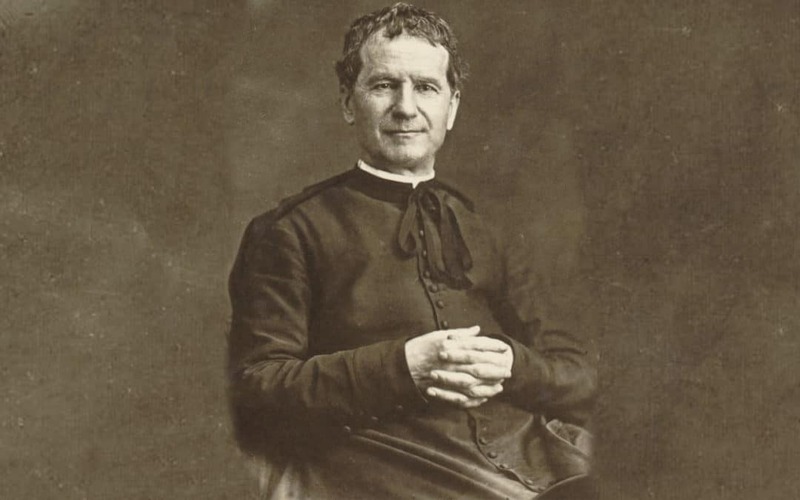 And not with his wisdom only, but also his heavenly intercession: St. John Bosco, pray for us! Sister Mary Louise gave a presentation on The Preventive System of St. John Bosco in Non-Salesian Settings at G.R.A.C.E. (Gallery of Research, Art, and Community Engagement) and won 1st place!